The Reality Of Me (TROM) is one of the longest documentary films ever created. This 13+ hour long educational movie is packed with life changing revelations about us, humans, surviving on a dying planet. It was made with a single audacious goal in mind- to educate every one of us and make us stop for a moment to take a deep, honest look inside ourselves. Will you like what you see or will it offend you? Many of you are probably using Youtube to watch documentaries online, but this only works when you are connected to the internet. What if you wanted to watch it with your friends at a campfire for example? 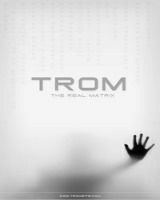 Because of the length alone, not to mention the sometimes unreliable internet connection, it’s advised to download the entire TROM documentary and watch it offline. The torrents from ThePirateBay and KickassTorrents are currently the fastest way to download this movie. And if you’re thinking that torrents are all bad then you’re wrong. Torrents are a very good way to deliver large files from one computer to another using a torrent client. The content just has to be free and not protected by copyright laws, which obviously is not the case with a documentary such as this.